Our futon mattresses are metal-free mattresses that you can sink into. For your best comfort, these mattresses do not have springs and can be quite soft. With their beneficial properties, any sleeping problem will be solved. They are orthopedic and anatomic and offer the ideal rest and proper back support. They are perfect for those suffering from chronic back problems. Our mattresses consist of many rich layers that embrace your body. 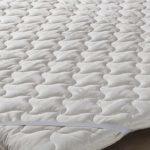 Each layer is made of different materials; designed to give you a better night sleep. Our futon mattresses are made using only innovative imported materials that give them great elasticity. These ecological materials have certified the quality and make our mattresses extremely soft and comfy. Now you can find the ideal futon mattress for you and the combination of the materials you need. Choose among these wonderful products and stay fully satisfied: Extasis Futons, Fantastico Futons, Nobel Futons, Oscar Futons, Brilliant Futons.